And with that we have the first new bishop! 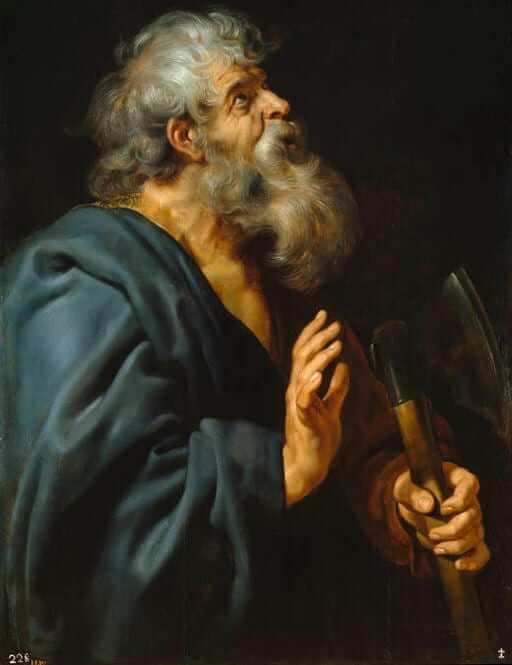 The Feast of St. Matthias is a celebration of the continuation of the apostolic ministry. By honoring St. Matthias we honor the fact that Jesus enabled His first Apostles to pass on the sacred power of their ordination to others as their successors. St. Matthias took the place of Judas. And as the Church continued to grow, there were others picked and given the grace of ordination as bishops. Today, every one of our bishops has a direct line of succession to one or more of the Apostles. This unbroken succession is our direct connection to the priestly ministry of Jesus as it is passed on to the Church. What a gift this is! It’s true that not every bishop or priest is a saint. We are all quite aware of that. But it is also true that every bishop and priest shares in the wonderful gift of Christ’s priestly ministry. And this ministry is not for them, it’s for you. Jesus desired that He continue His ministry in a concrete, personal and human way. He desired that He would be present at every Baptism, Confirmation and Holy Communion. He desired to personally be there administering these graces to His people. And He is there, through the ministry of the bishop or priest. The key is to see Christ in that ministry. Every priest or bishop is a unique representation of Christ in his own way. They each reflect Christ in their human personality and holiness. But, more importantly, they represent Christ by acting in His very person. Jesus speaks His words of absolution and consecration through them. So we need to see beyond the surface and see Christ Jesus. This is entirely possible if we approach God’s ministers in faith. Reflect, today, upon the way you approach God’s priests and bishops. How do you speak about them? Do you seek Christ in them? Are you open to Christ ministering through them? The apostolic ministry in which they share is a true gift from Christ and must be loved and accepted as if we were accepting Christ Himself…because that’s exactly what we are doing. Lord, thank You for the gift of your ordained ministers. Thank you for the bishop and for all the priests who have ministered Your Word and Sacraments to me. I pray for them today that they may continue to be holy instruments of Your love. Jesus, I trust in You.